Every year in early March, Japan celebrates Hina Matsuri, a very special day dedicated to young girls. A few days before Hina Matsuri, families with daughters install in their living room a platform of different stages covered with a red carpet, where a set of dolls representing the Emperor, the Empress, attendants and musicians are displayed. Often handmade by very famous artists, the dolls wear traditional court dresses of the Japanese Heian period, and can be very expensive. For this reason, it is not uncommon for the sets to be passed down several generation of a family, from great-grandmothers to great-granddaughters. Originally, on the day of the celebration, families would go to the temple to pray for their daughters to grow strong and healthy, but nowadays, people more often gather to have a nice family dinner and sometimes give present for the young girls in the family. At Escape Hunt Tokyo, we believe in empowering our young girls and helping them build self-confidence to give them the best start in their lives. Our games, accessible from 7 years-old and up, are the perfect mix for an exciting and educational family activity: for an hour, join your young detectives who have the opportunity to test their deduction skills and solve a mystery, all the while discovering a unique story taking place in traditionnal Japan! From Saturday February 25th until Friday March 3rd, enjoy our Hina Matsuri event! Will you find the Hina dolls we have hidden in our rooms? 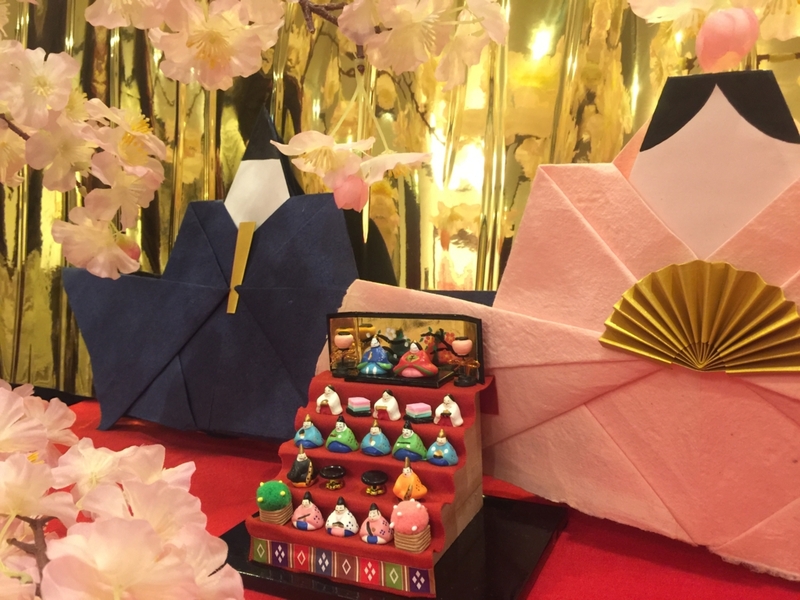 After the game, take a memorable picture together, and relax while enjoying some refreshments: we will offer you drinks and Hina Arare, a colourful rice snack treat that is shared on this particular day. Whether it is your daughter, granddaughter, sister or niece, our escape games will make for an original surprise for the young girls of any age in your family. Come to Escape Hunt Tokyo, and share something special on Hina Matsuri!